The ash is a family of approximately 70 species of trees and shrubs, most of which grow in North America. The timber of the ash tree is valued for its beauty and strength; many early baseball bats were made of ash, as are a considerable number of today's hockey sticks, oars and tennis rackets, and the handles of shovels, rakes and other gardening tools. For medicinal purposes, however, the bark of the ash tree has special significance. Ash bark is associated with the Liver, Gallbladder, and Large Intestine meridians, and has bitter and cold properties. Its two main actions are to reduce heat and resolve dampness, and to clear away liver heat. 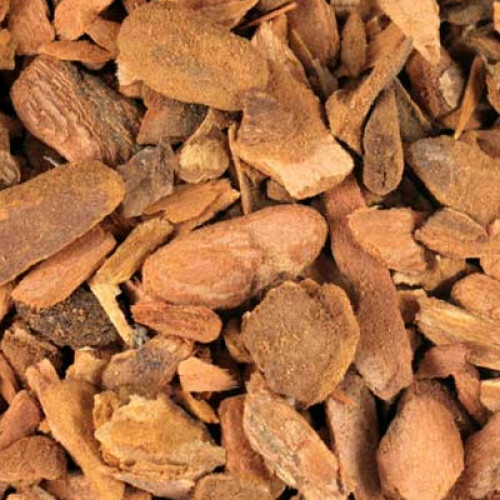 In modern applications, ash bark is used with other herbs to treat both acute and chronic forms of dysentery and diarrhea, and to reduce swelling and pain. Ash bark decoctions have been shown to inhibit the activity of several types of bacteria. A decoction of ash bark can also be used as an eyewash to reduce soreness and redness.